HOTAN, China (AP) — Chinese men and women locked in a mass detention camp where authorities are “re-educating” ethnic minorities are sewing clothes that have been imported all year by a U.S. sportswear company. 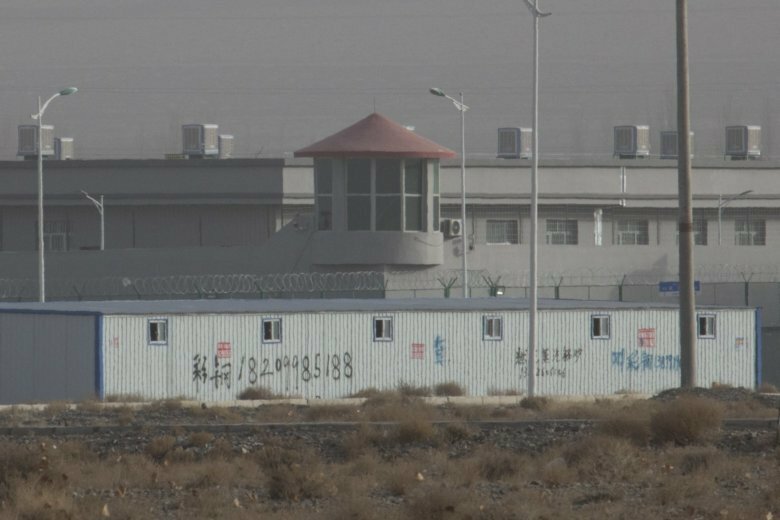 The camp, in Hotan, China, is one of a growing number of internment camps in the Xinjiang region, where by some estimates 1 million Muslims are detained, forced to give up their language and their religion and subject to political indoctrination. Now, the Chinese government is also forcing some detainees to work in manufacturing and food industries. Some of them are within the internment camps; others are privately-owned, state-subsidized factories where detainees are sent once they are released. The shipments show how difficult it is to stop products made with forced labor from getting into the global supply chain, even though such imports are illegal in the U.S. Badger CEO John Anton said Sunday that the company would halt shipments while it investigates. Chinese authorities say the camps offer free vocational training for Uighurs, Kazakhs and other minorities, mostly Muslims, as part of a plan to bring them into “a modern civilized” world and eliminate poverty in the region. They say that people in the centers have signed agreements to receive vocational training. A former reporter for Xinjiang TV in exile said that during his month-long detention last year, young people in his camp were taken away in the mornings to work without compensation in carpentry and a cement factory. Mainur Medetbek’s husband did odd repair jobs before vanishing into a camp in February during a visit to China from their home in Kazakhstan. She has been able to glean a sense of his conditions from monitored exchanges with relatives and from the husband of a woman in the same camp. He works in an apparel factory and is allowed to leave and spend the night with relatives every other Saturday. Though Medetbek is uncertain how much her husband makes, the woman in his camp earns 600 yuan (about $87) a month, less than half the local minimum wage and far less than what Medetbek’s husband used to earn.